“Fiery”. 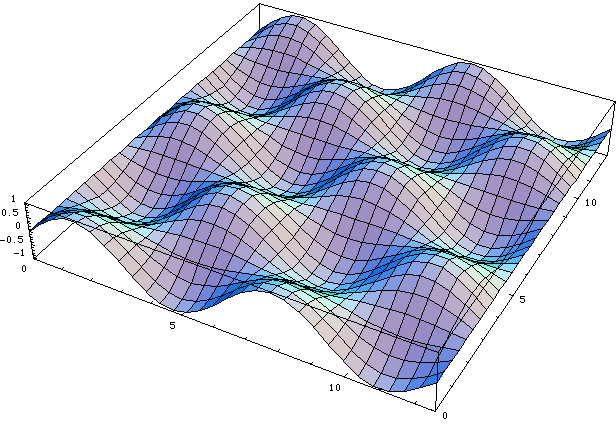 Plot of the equation Sin[x* Sin[y]] == Cos[y*Cos[x]]. All trignometric functions sine, cosine, tangent, secant, cosecant, cotangent can all be simply defined in terms of a single function sine. Sine, as associated with trigonometry, began in early civilization as a very important measuring science. When the function concept and calculus and analytic geometry were introduced in about 1700, sine became a function and has little to do with triangles. The sine function appears unexpectedly throughout analysis, because in essence it captures the idea of a wave, a fundamental concept in physics. Trigonometry seems to have been developed, with certain traces of Indian influence, first by the Arabs about 800 as a aid to the solution of astronomical problems. From them the knowledge probably passed to the Greeks. Johann Müller (c.1464) wrote the first treatise: De triangulis omnimodis; this was followed closely by others. See also: History of trigonometric functions. Sine curve is the curve of the sine function. It is also known as sinusoid. Sine is sometimes called circular function because the essential feature of the sine function can be thought of as a point moving around a circle in constant speed, and the value of sine being the height of the point. Let A be a point on origin. Let C be a point on the positive x-axes. Let D be a point on (-1,0). The sine function at Distance[A,C] is the height of E, where E is a point such that ArcLength[A,D,E] == Distance[A,C]. In the formula y == a*Sin[x/p+s], a is the amplitude, p the period, and s the phase shift. All trig functions is defined in terms of sine. See: List of trigonometric identities. Blue is sine curve. Pink is cosine. Red is tangent. The blue is sine curve. The pink is cosecant, the red is cotangent. One can clearly see that sin and csc are multiplicative inverses: the smaller the value of sine, the larger is cosecant, and vice versa. Sine curve is the orthogonal projection of the space curve helix. 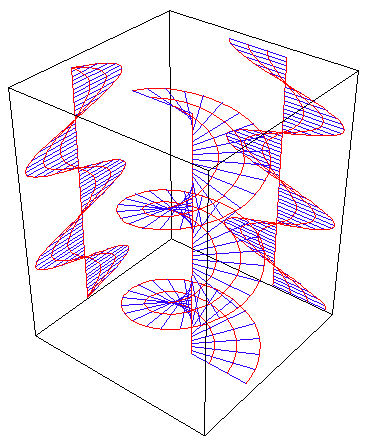 (See: helicoid) A helicoid is a surface formed as the trace of a rotating a line along a axis. Sine curve is the development of a obliquely cut right circular cylinder. 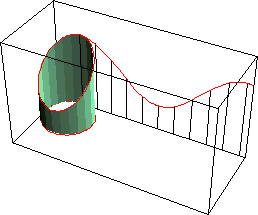 (the edge of the cylinder rolled out is a sinusoid). 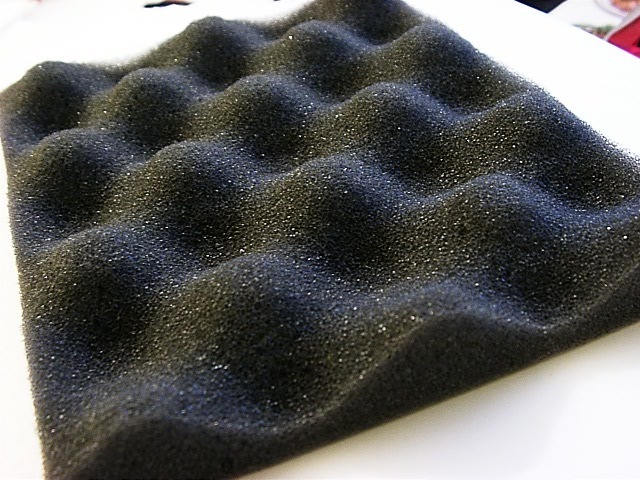 graphics code..
A packaging form is modeled after the surface Sin[x]*Sin[y]. graphics code.